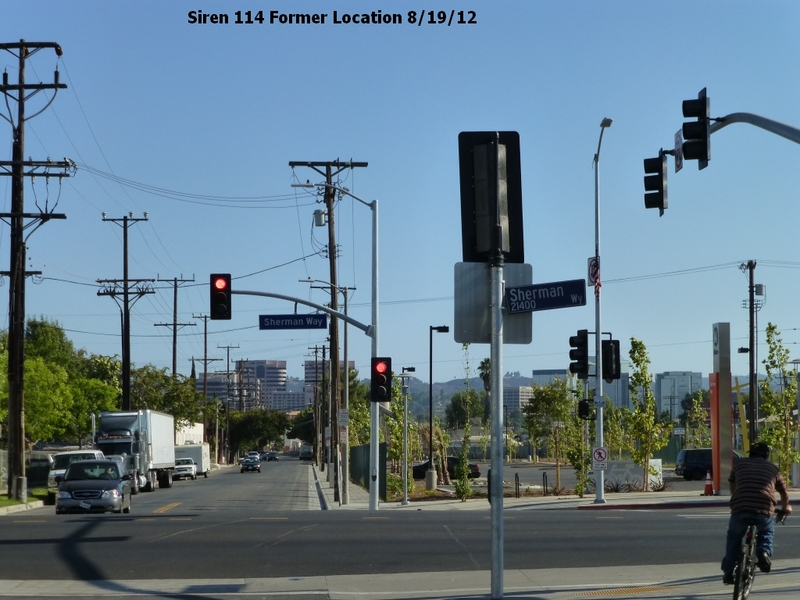 Siren 114 removed due to construction of Metro Orange Line (Busway) parking lot. 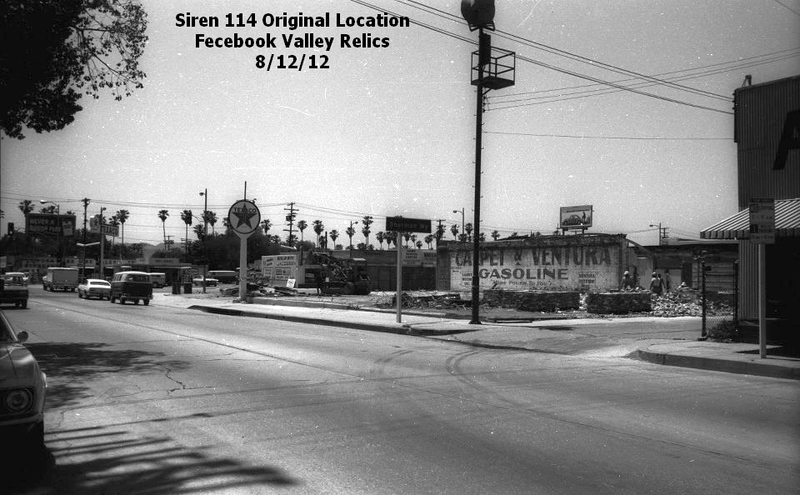 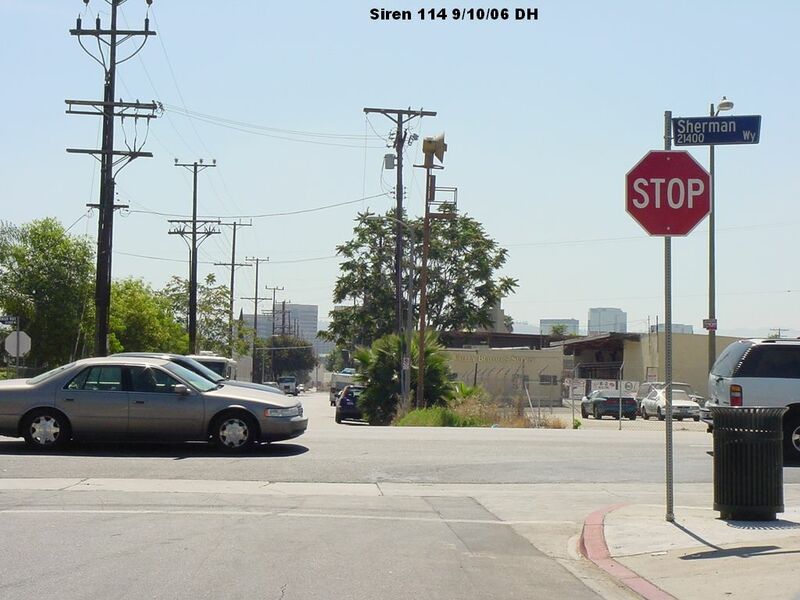 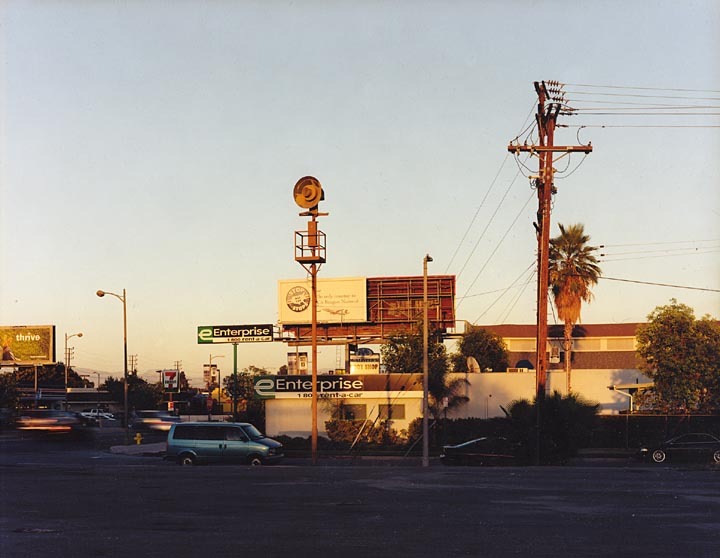 Original location of Siren 114, west side of Canoga, north of Sherman Way. 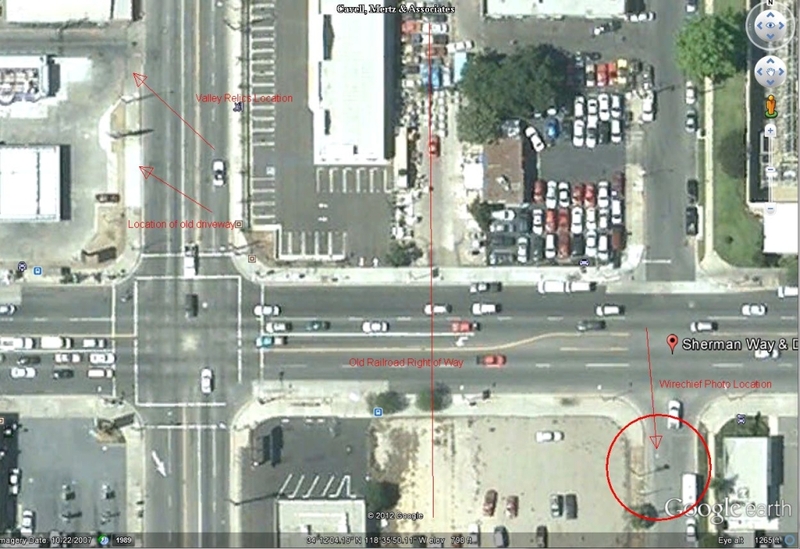 Google Earth view showing original and later location.